If you’re among the millions of Americans who would like to maintain already healthy joint and connective tissues‚ start using FYI today. 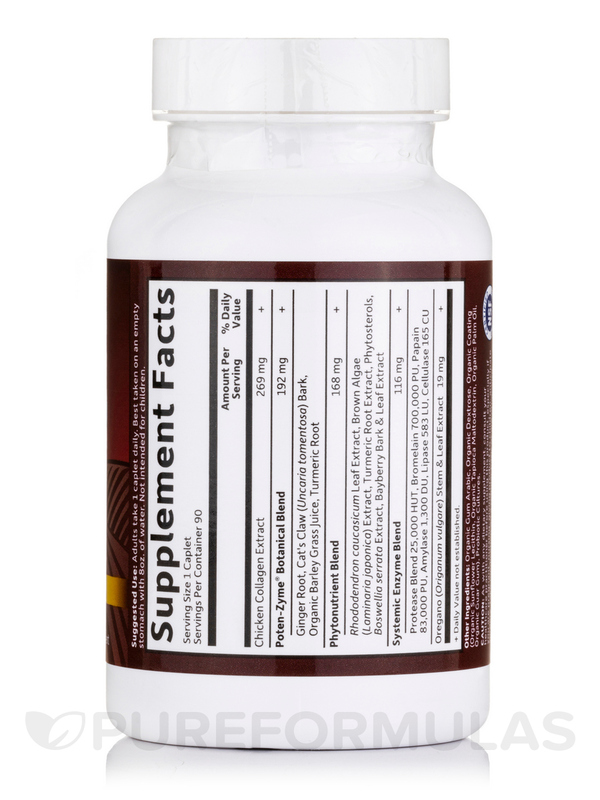 .The ingredients in FYI® include naturally occurring compounds that support normal joint function and mobility. 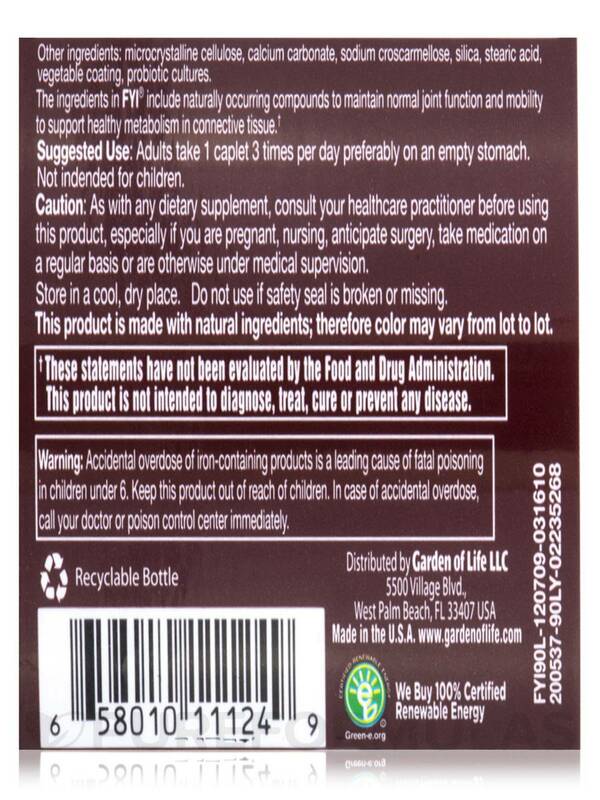 .Ingredients in FYI support antioxidant function in the body. .Select ingredients in FYI are produced through the Garden of Life® proprietary Poten-Zyme process to make nutrients more available to the body. 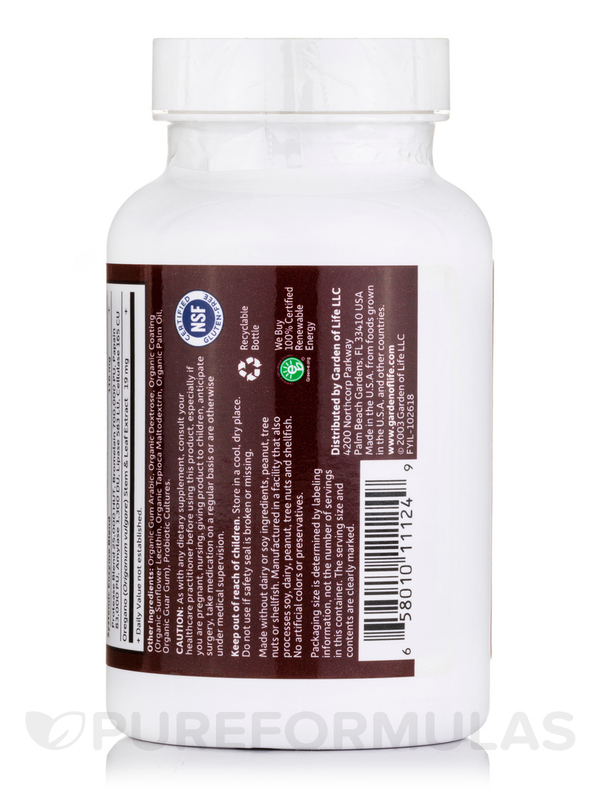 .Systemic Enzyme Blend a combination of protein-digesting enzymes able to function in a wide range of pH environments. .Protease Blend - a combination of proteolytic enzymes shown to work systemically . .Bromelain - a powerful protein-digesting enzyme from pineapple. .Papain - a mixture of protein-digesting enzymes isolated from papaya. .Syrian oregano - contains antioxidant compounds and essential oils . .Cat’s Claw - a traditional Peruvian herb which supports the body’s ability to fight free radicals. .Turmeric Root - an antioxidant that has been shown to support normal joint function. .Young leaves of Rhododendron caucasium - traditionally used as a tea‚ they contain a unique form of highly available polyphenolic antioxidants. How do the ingredients in FYI® work to support healthy joints? Proteolytic enzymes have the ability to support normal metabolic processes in the body that support joint and connective tissue health Ingredients in FYI support antioxidant function in the body. What makes FYI® better than other formulas? FYI is a unique formula that combines a special form of collagen‚ proteolytic enzymes and turmeric to support normal joint function and mobility. 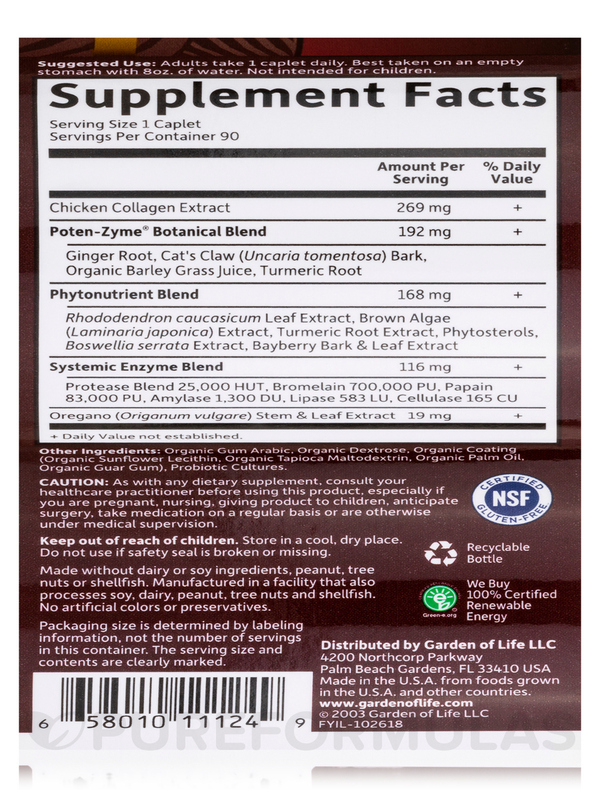 FYI is further enriched with a unique blend of foods and botanicals to support antioxidant function in the body.Additionally‚ the cat’s claw‚ ginger‚ barley juice‚ and turmeric are fermented using our proprietary Poten-Zyme® process which makes the nutrients in these ingredients more available to the body. Ginger (Zinglber officinale) root and juice‚ Cat's Claw (Uncaria tomentosa) bark‚ Barley Grass Juice*‚ Turmeric root. Rhododendron caucasicum Extract‚ Tumeric Extract (root)‚ Phytosterols‚ Boswellia serrata‚ Bayberry Bark and Leaf Extract‚ Green Algae (Ulva lactuca) Extract‚ Brown Algae Extract. microcrystalline cellulose‚ calcium carbonate‚ sodium croscarmellose‚ silica‚ stearic acid‚ vegetable coating‚ probiotic cultures. 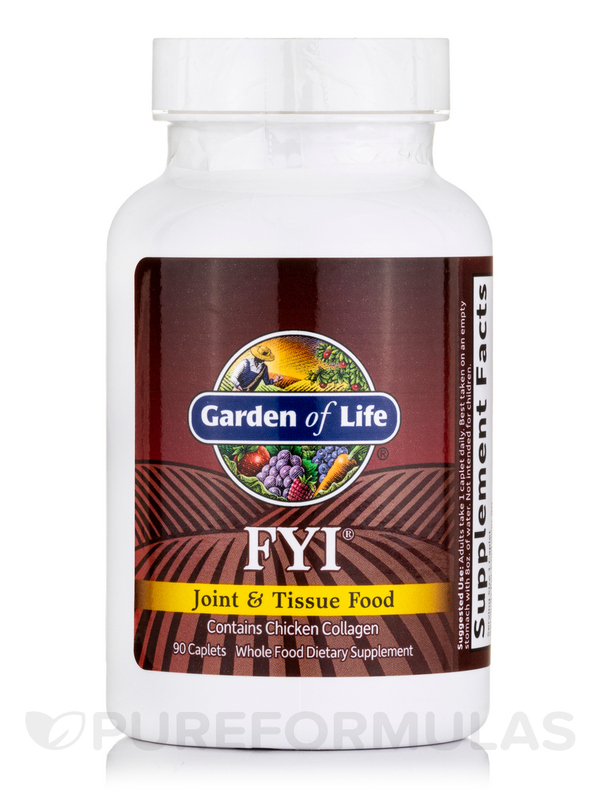 The ingredients in FYI include naturally occuring compounds to maintain normal joint function and mobility to support healty metabolism in connective tissue. Adults take 1 caplet 3 times per day preferably on an empty stomach.